One of the many ways to support Saint Leo University and leave a legacy for future generations is by including the University in your estate plans. The James J. Horgan Heritage Society honors alumni, parents and friends who have provided a lasting legacy for tomorrow’s generations by including Saint Leo University in their estate plans. 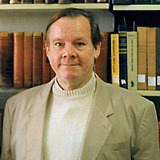 James J. Horgan served as professor of history for over 30 years at Saint Leo and authored Pioneer College - the Centennial History of Saint Leo College, Saint Leo Abbey, and Holy Name Priory. The Society honors his talents as a teacher and scholar, his bequest to his beloved Saint Leo, and the gifts and bequests he inspired from his own family. You are invited to join the Horgan Society and receive recognition today for gifts you will make in the future. We would be delighted to confer upon you all of the privileges of membership. Sharing your intentions with us will ensure that your philanthropic wishes are followed, and will allow us to properly thank you for your lasting generosity. For more information and for a confidential consultation on how you can plan a gift for Saint Leo and join the ever-growing roster of Horgan Society members, please contact Stephen Kubasek, associate vice president, Advancement, (352) 588-8355, stephen.kubasek@saintleo.edu.